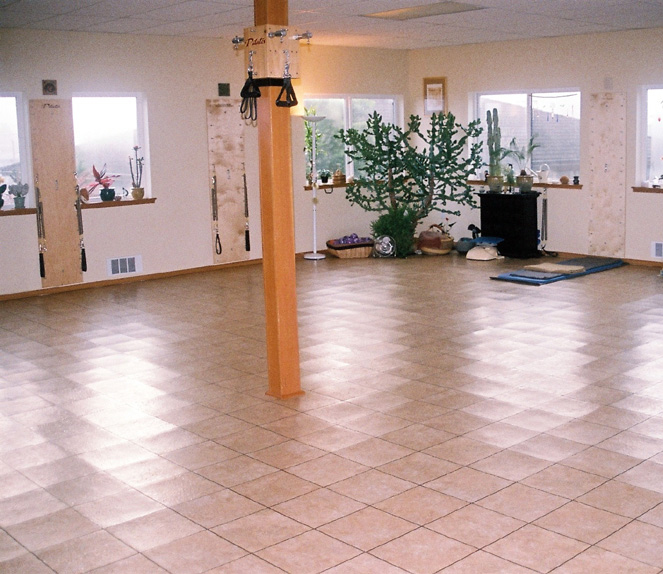 Welcome to one of the best Yoga and Pilates studios on the Oregon Coast. At Volk’s Yoga and Pilates Studio, we are dedicated to helping you develop your full potential. We want you to become fitter, stronger, healthier and happier — all the best you can be. We have the most experienced teachers. The owner of our studio, Jeany Volk, has more than 30 years of experience teaching exercise physiology, the science of movement, Pilates and Yoga. We have the most equipment and the nicest studio: We have Pilates reformers, springboards, Mve platform chairs, arches, orbits, balls, Yoga mats, blankets and blocks, and lots of other pieces of equipment. Our studio is absolutely clean, with big windows letting in the light and nourishing greenery of all sorts, with a floor that never feels cold. We’ve even won awards, including–but not limited to–the most up-to-date Readers’ Choice Award sponsored by the Newport News Times. More"Yoga or Pilates–Help Me Choose"
More"What if I’m Inactive or Elderly"
More"What Should I Wear? What Should I Bring?"